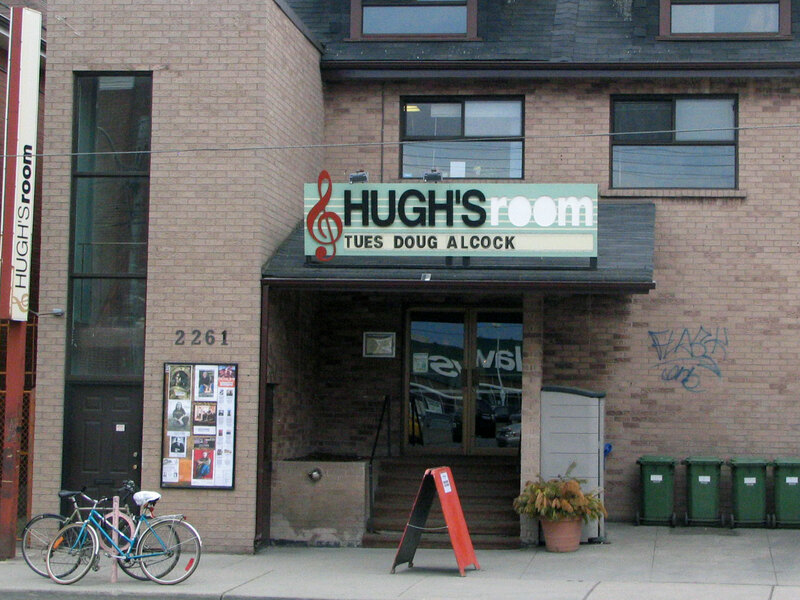 Doug's next gig is with The Doug Alcock band (consisting of Scott Cooper on banjo, Christina Mulligan on keys and Mark Collis on bass) at Hugh's Room in Toronto on May 11, 2015. Hugh's Room is a fabulous 200 seat venue with the tables in tiers so there isn't a bad seat in the house. They have a fabulous kitchen so dinner before the 8:00 pm show is a great idea. Call Hugh's Room at (416) 531-6604 for reservations now and note that reservations are for dinner only. Tickets are $20 in advance and $25 at the door. The show will be recorded live to produce the bed tracks to the next record as well as for future re-broadcast on BluesandRootsRadio.com so we would love to have as many of you as possible come out to cheer, clap, laugh and sing!! Here's a pic of Hugh's Room the last time we played there.